In a perfect world, every movie would end at the perfect moment. But some simply go on too long, sometimes squandering a perfect ending in exchange for wrapping things up in a tidy bow or giving a character a happy ending. It's only natural that directors would want to make their stories perfect, but sometimes what sounds like an excellent spot to end a story just doesn't translate that way for the audience. For every lovingly placed movie ending, there are definitely a bunch that should quit while they were ahead and ended sooner. Sometimes, as these movies illustrate, even ten minutes can make a big difference. The films that follow include some seriously beloved releases, but all of them go on just a little bit too long. The next time you're screening one of these, try ending it a little earlier — odds are you'll end up wondering why the director didn't do the same. Brilliant filmmaker that he is, Steven Spielberg can't always be trusted with endings. He hit the mark with E.T. 's spaceship shooting out a rainbow, and with Hooper and Brody's long paddle back to shore in Jaws. But for every perfect closure, there's one that's a little too drawn out or too tidily wrapped up. 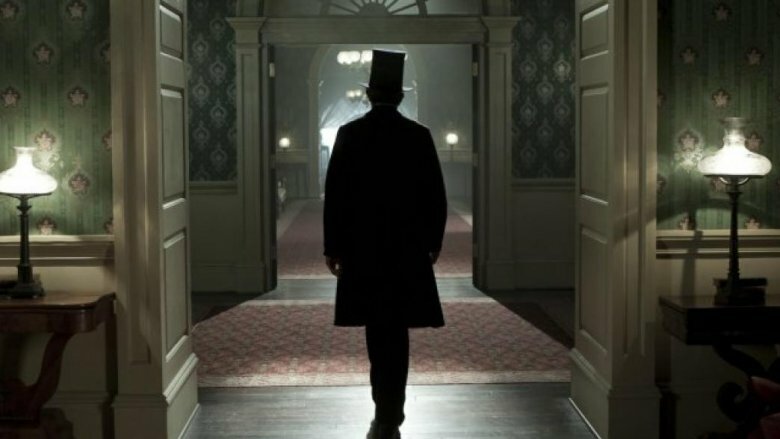 Lincoln, Spielberg's biopic about the 16th American president, has the perfect ending — it's just too bad it's followed by a good ten more minutes of movie. The main conflict of the film has ended, the Civil War is over, the 13th Amendment passed. As Abraham Lincoln (Daniel Day-Lewis) gathers his things to head out to the theater to meet his wife, he says to his cabinet members, "I suppose it's time to go, though I would rather stay." He struts down the hall as the camera watches his tall top hat fade in the distance. It's a gracious and respectful way to end the film. We all know what's coming, he's heading to the theater after all. But for some reason, Spielberg decides to keep going with a bait and switch at another theater, Lincoln's dead body strewn out on a too-short bed, his pillow smeared with blood, and a cheesy candle flame fading into a flashback of a wartime speech. It's weird to see Lincoln alive again after that, and to see the movie leave behind such a perfect ending. 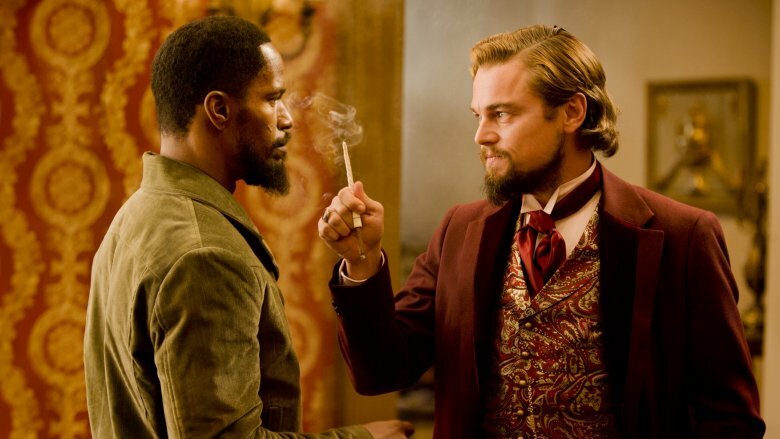 To be brutally honest, Django Unchained is just too darned long. There's a good 20-30 minutes at least that could have been cut out of this film. But have we ever known Quentin Tarantino to be delicate in his choices? Certainly not. A logical place to end would have been at the major shootout battle at Candyland Plantation. Though Django loses this battle in the film as is, the story could have easily been reworked to make it so that he wins and rides off into the sunset with his beloved Broomhilda. Instead, the audience is subjected to a different setting, new characters, and a serious lull in the momentum of the movie. And did we mention that one of those new characters is Tarantino himself, speaking with a terrible Australian accent? Also, the final act of Django Unchained makes an already violent movie a bit unbearable in its gore. What felt like necessary violence in the first two thirds of the movie just gets ridiculously bloody in a downward spiral toward the end. But hey, that's Tarantino. Perhaps it was expected that a series of films that took three installments to tell a story would have a bit of a drawn-out ending. 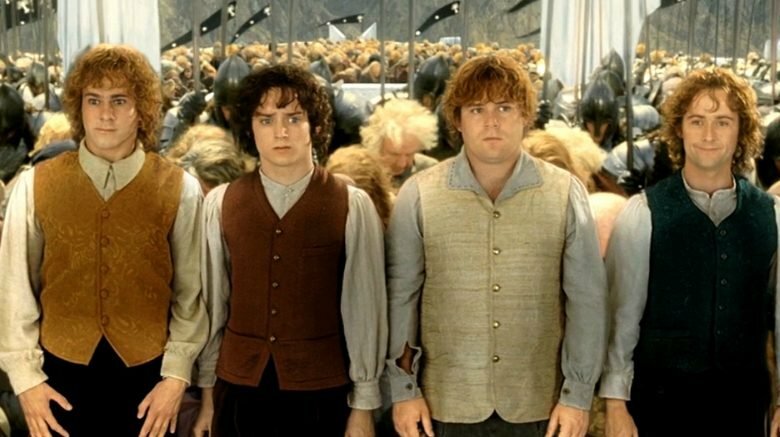 At least Peter Jackson's Lord of the Rings trilogy was adapted from three distinct books, rather than his Hobbit trilogy, which was sadly a single novel stretched too thin. But his first outing into Middle-earth definitely feels like it could have ended at a number of different spots, even as it just… keeps… on… going. The most logical place to end? Right after Aragorn and Arwen's reunion on the castle cliff.The Hobbits stand before them, wee in size and towered over by basically everyone else in attendance. When they make an attempt to bow before the new king, Aragorn stops them. "My friends," he says. "You bow to no one." It's a bit of a grand moment for such tiny Hobbits, so it's understandable that Jackson would want to return to their level, to the Shire, and to their everyday lives as a suggestion that life would be okay after that. But the multiple scenes and pseudo-endings start to feel like a slog. There's Frodo's book writing, Sam's wedding, Frodo's departure with the elves, and Sam's little hobbit children. As cute as they are, it's a shame that such an epic trilogy ends with you kind of just wanting it to be over already. Richard Linklater took 13 years to film Boyhood, so you'd think that that would be enough time to figure out where the movie should end. Over the course of the story, we watch Mason (Ellar Coltraine) grow up from a small boy to a young man, and much of his life is defined by his relationship with his parents — particularly his mom, played by Patricia Arquette. Many would argue that, for as much as the movie is about Mason, it's just as much an examination of Arquette's character, and how childhood and motherhood grow and change. Which is why the movie would have had much more of a profound ending if it had closed with Mason driving off to college, leaving behind his mother, who has just expressed how quickly life has passed and how much he's grown beyond her grasp. We don't really need to meet Dalton, Mason's roommate, or have see his life-changing moment on a cliff with Nicole. Boyhood should have ended when Mason's boyhood itself ended, as he drove away from childhood. Movies with a prologue that start out in one time period while the majority of the movie takes place in another have a tendency to need a bookend back to the beginning to wrap things up. 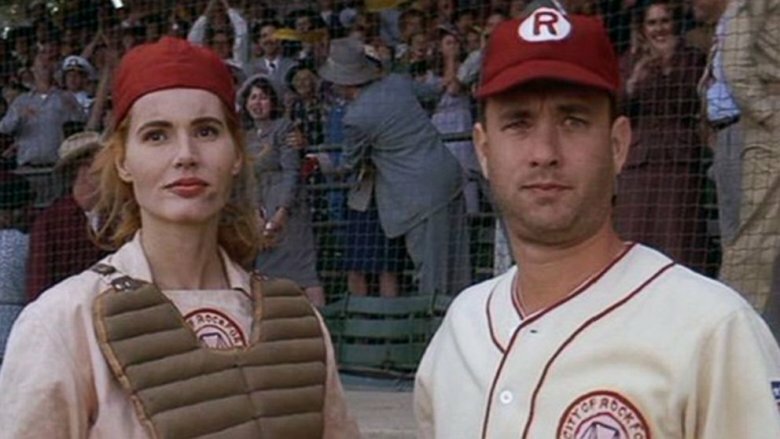 That's the case for A League of Their Own, which begins with an elderly Dottie Hinson heading out to the induction of the All-American Girls Professional Baseball League into the Baseball Hall of Fame. But once the riveting, World War II-set story of Dottie, Kit, and the Rockford Peaches is all wrapped up in the 1940s, the movie's need to head back to the future to close the circle just drags it down. As Dottie meets with her former teammates, each reunion plays like a game of guess who, with lookalikes for fan favorite characters played by Madonna, Rosie O'Donnell or the rest of the gang. While it's a nice tribute that some of these women were actually players in the AAGPBL, the prologue loses the energy that electrifies the rest of the film. What's worse, it makes Kit and Dottie's relationship extra vague. Their reunion is emotional, but almost too dramatic. Have they not seen each other since their departure on the field? Are they not a part of each other's lives? Reunion or not, the audience just doesn't identify or empathize with these other actresses, nor does the mixture of fact with fiction blend well. Alejandro G. Iñárritu's Birdman offers a perfect example of an ambiguous ending. In fact, the whole of the movie is purposefully vague so as to maintain the magical realism of the world in which the story takes place. Is Birdman real? Is Riggin (Michael Keaton) hallucinating most of the time? It's unclear, but the movie's representation of a former superstar and how the Hollywood machine chews up actors and spits them out certainly feels accurate. No wonder Riggin tries to escape his life. The final moments of the movie are, naturally, the most ambiguous. 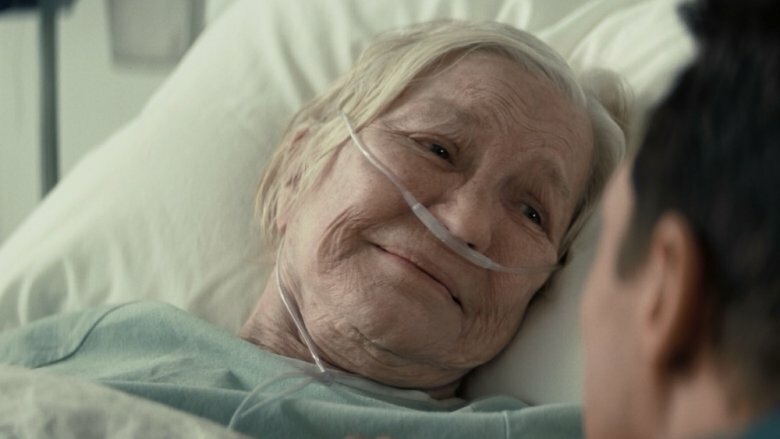 Many fans feel like the closing scene of the movie, in which Riggin and his daughter Sam (Emma Stone) reunite in his hospital bed, don't actually happen. They believe his suicide attempt onstage was actually successful, and that his hospital stay and jump out the window are all imaginary — the final throes of a memory lost. Magical as the movie may be, however, it would have landed better if Birdman had a more definitive ending, perhaps at the moment Riggin pulls the trigger onstage. The "is this all really a dream?" feeling that the ambiguous ending wants to leave us with feels more like a copout. Christopher Nolan's 2014 space epic is a truly gorgeous journey through the galaxy, although one of the most common complaints about the film is that it too heavily relies on sentiment as an explanation for the inexplicable. But the sentimental aspects of Interstellar aren't what slightly bring down its ending — rather, it's Cooper's (Matthew McConaughey) spiral through a black hole and what follows that don't make much sense. It might have been better if the audience never saw inside the black hole at all. Cooper traveling through a tesseract created by advanced beings and becoming Murph's "ghost" has too much of a deus ex machina feel to it. But Cooper and Murph's reunion is where the movie does get a bit mushy. The aging Murphy is played by an actress other than Jessica Chastain, so our emotional connection to the person just isn't there. Then there's Cooper's weird decision to steal a ship and head off to meet Brand (Anne Hathaway) on the new planet. Isn't the colony ship heading in that direction anyway? Why take the risk? Either way, at least Interstellar was a riveting space opera for the majority of the film, even if the ending mucked it up. For most of its run time, 10 Cloverfield Lane is a suspenseful but relatively quiet horror thriller. There aren't a lot of big jump scares or alien creepy crawlies like in Cloverfield, and most of the tension of the film comes from John Goodman's character, Howard, and the ambiguous sense of danger surrounding his mysterious intentions. Mary Elizabeth Winstead's character, Michelle, is more scared of being imprisoned by a strange man than she is of what he claims is going on outside, and for understandable reasons. Howard is secretive and super creepy. So when Michelle does break free from Howard's bunker only to find out that aliens really have invaded the Earth, there's an awesome moment when she realizes that Howard was right, and has to decide what to do. That the movie then turns into an action-heavy alien battle is a total departure from the rest of the film, and not in a good way. 10 Cloverfield Lane's insistence in turning Michelle into some kind of action heroine makes the film a little more conventional than what it feels like it initially set out to be. The imagery when Michelle first emerges is great, but the subtle suggestion of aliens is better than the onslaught that follows. It's neat that Michelle makes the decision to head to Houston and fight, but it's a decision she could have made 10 minutes earlier, without the unraveling battle. What works on the page doesn't necessarily work for the screen. 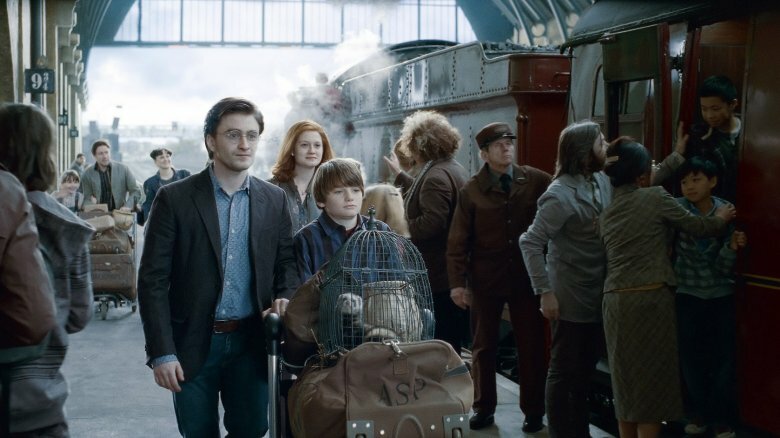 J.K. Rowling's epilogue to the story of Harry Potter, Hermione Granger, and Ron Weasley included a glimpse into the future where the trio are seen sending their own kids off to Hogwarts from Platform 9 3/4. It's a touching section of the book, and a satisfying close to the beloved series. But translating the flash forward for the movie made the franchise's closing moments a bit laughable. Making Daniel Radcliffe, Emma Watson, and Rupert Grint, three very young actors (four, including Bonnie Wright's Ginny Weasley-Potter) look a couple of decades older didn't exactly work out. Instead of looking like they were in their late 30s, the characters somehow looked older, yet too young at the same time. The old age makeup and effects just made them look gray and tired. 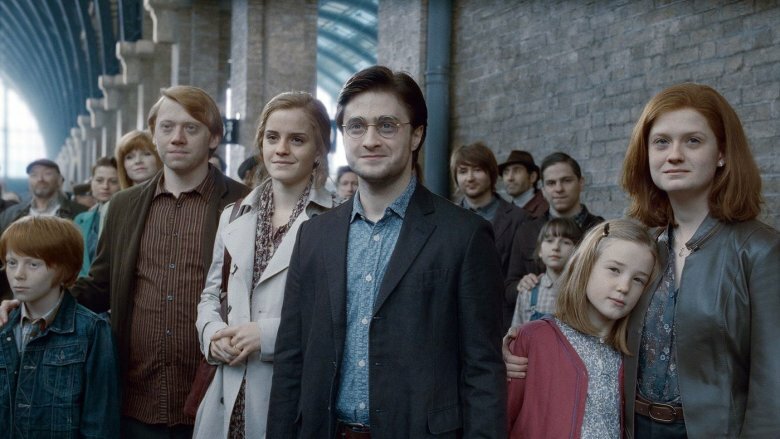 It's hard to focus on the poignancy of the moment after being confronted with Harry and Hermione's fake crow's feet, Ron's pot belly, or Ginny's awful wig. As the film's makeup effects designer Nick Dudman told Entertainment Weekly, the only reason they shot the epilogue was "To satisfy the fanbase. It wasn't really necessary to the story at that point. The movie ended so well with the battle." Indeed it did. And that's the exact spot where those ending credits should have rolled. A.I. 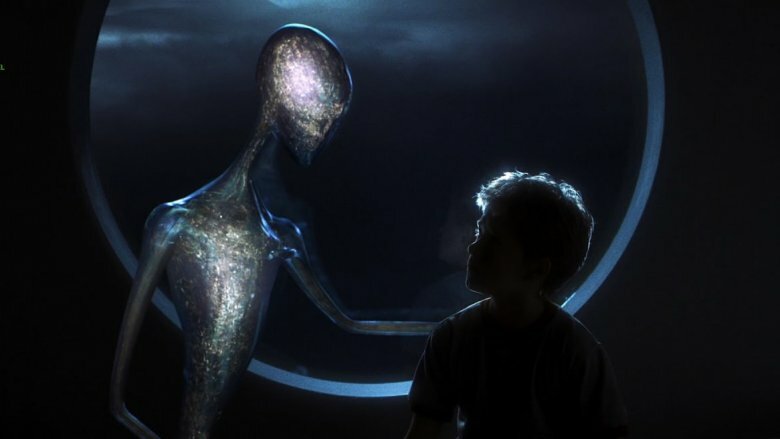 Artificial Intelligence is another example of Steven Spielberg not knowing when to quit, though given that this 2001 science fiction film was a joint project with legendary sci-fi master Stanley Kubrick, it might not be totally Spielberg's fault. But like many of his films, A.I. shows how unwilling he is to let anyone leave his movies without feeling a tiny glimmer of hope, even if it means undermining the mood of the previous two hours. When "Mecha" boy David finally finds the Blue Fairy he's been searching for at the bottom of a flooded Coney Island, he gets trapped by a collapsing Wonder Wheel and frozen in time. Some fans say that's where the movie should have come to a close, with David continuing to wish himself a real boy. Instead, A.I. jumps 2000 more years into the future, where either an advanced race of aliens or evolved robots called the Specialists find David and reanimate him. The future aliens/robots are cool and all, but what they end up doing is what gives the movie that hokey ending. They reanimate David's mother from a lock of her hair and David has one final day with her. Certainly there are those who find this ending lovely; even the Teddy bear gets a moment to shine. But that urge to give such an edgy, fascinating film a "happy" ending sort of undoes the mystery of it all.